James Frey, author of the best-selling book "A Million Little Pieces," was arrested in October 1992 for drunk driving (he was issued two traffic tickets and a separate misdemeanor criminal summons for having an open bottle of Pabst Blue Ribbon beer in his car). At the time of his arrest, Granville, Ohio police described Frey as "polite and cooperative." The tough guy writer did not spend any time in jail as a result of the arrest. 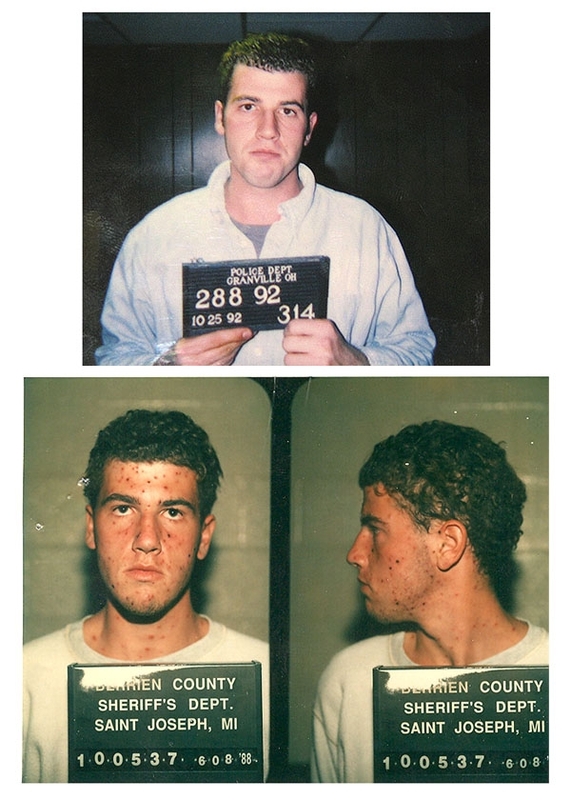 Frey was also arrested by Michigan cops in June 1988 (bottom mug shot) and charged with drunk driving and failure to carry his driver's license. After St. Joseph Township cops saw his car weaving in traffic, Frey, then 18, was pulled over and found to be tipsy (subsequent Breathalyzer tests showed Frey¹s blood alcohol content to be more than twice the state limit. According to police, Frey was soon released after posting bond, since the county jail "did not want him in their facility" because he had chicken pox.